"This resource focuses on discussion and experience of homophobia, tackling homophobia and kicking it out of sport. It gives positive and strong messages to young people who may be considering or having recently come out as well as the heterosexual population. The message is clear that homophobia is not acceptable behaviour and is very damaging to us all whether gay or straight. We need to think twice about use of language and being abusive, it could easily be a family member in this situation. Using sporting role models who represent ‘real’ men sports is beneficial in challenging negative stereotypes and myths. Knowing it affects behaviour in the locker room, and the terraces and with the famous, young and older as well as ordinary folk, is a great talking point. It is apparent that for some, coming out in the short term might not be the best option until they have explored support networks, considered and are prepared for a range of reactions and how best to respond. Lovely individual quotes, threaded throughout the DVD, and giving a very balanced and honest view of experiences. Great acknowledgement of homophobia affects us all whether gay or straight. I love the reference ‘don’t suffer in silence, tell someone… don’t be ashamed, be proud it will liberate you and you will be a happier person’. Both schools and youth settings will enjoy using both the DVD and the activity pack as it is clearly set out and linked to the national curriculum and key stages, the lesson plans are prepared and good to go. Would I recommend this pack? Absolutely and without hesitation. 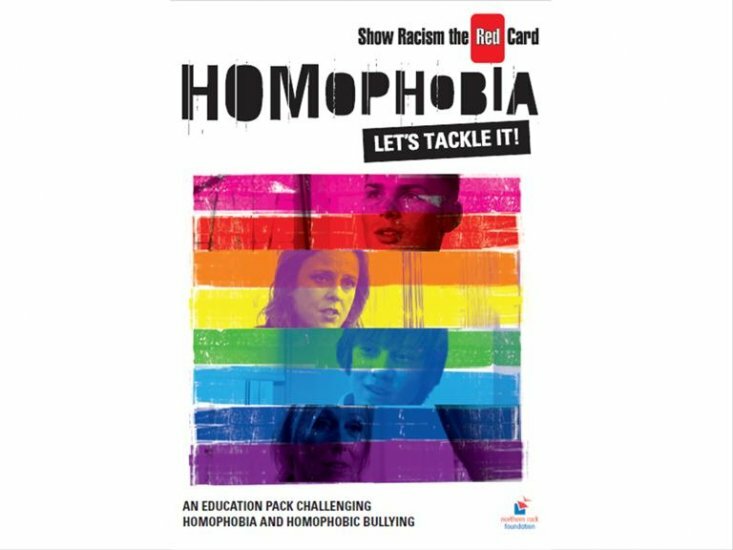 Thanks to the Red Card team who created this valuable resource"
"This valuable resource is excellently executed and is a valuable lever to promote debate about highly sensitive issues; especially with regards to stereotyping and expectations society holds on sportsmen and sportswomen. I enjoyed watching the DVD and bringing the issue to the forefront by the ‘ stars’ discussing the issues helps to bring down barriers of conversation to allow young people to feel safe to challenge the preconceptions and inborn cultures. The accompanying education pack offers many ways to bring the issues to the forefront and explore them within a safe environment. It raises the controversial questions which people may be thinking without the feeling of embarrassment. Very easy to read and interesting, I am looking forward to setting a programme to include the resource."